Guest rooms at the luxe resort have been refreshed, and there are new dining options including a beachside ceviche bar. 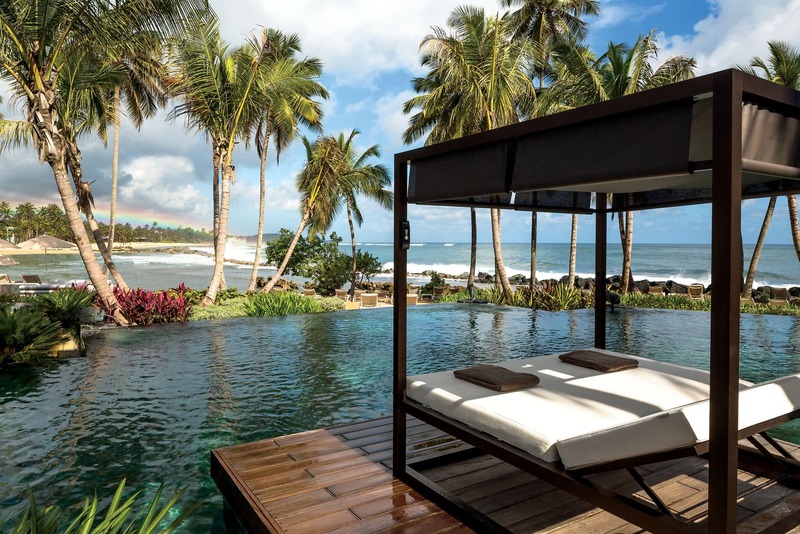 Puerto Rico’s Dorado Beach, A Ritz-Carlton Reserve is scheduled to reopen on October 1. The luxury resort has been closed after sustaining damage from Hurricane Maria last year. Guest rooms have been refreshed with a new color palette, while Su Casa, the resort’s five-bedroom villa has been fully updated with modern amenities. Resort grounds have also received a makeover with the addition of more than 300,000 new flora and fauna. Dorado Beach has some new dining options as well, including updated menus and a ceviche bar at the beachside restaurant, Positivo Sandbar. The resort’s signature restaurant and bar will debut in mid-November. Other highlights of the renovation include an updated spa, gym and the addition of two new boutiques.